Weah, Kingsley, Zigoni, Ferrari, Baldassin, Kandikjan, Longo and Campeol. Timothy attended the AC Milan Academy Camp of Cortina d’Ampezzo in 2013. He attended the MJC of Cortina in 2004. He attended the MJC of Cortina in 2004-2005-2006. He attended the camp in 2006 in Vittorio Veneto. 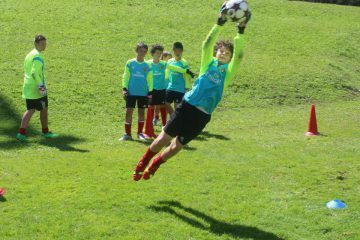 He attended the MJC of Cortina in 2005; at the moment he was the Goalkeeper of the U16 – AC Milan Team (Allievi Nazionali) coached by Filippo Inzaghi and our AC Milan Supervisor Fulvio Fiorin, and in 2011 he has joined many times the U16 Italian National Team. He attended the MJCs of Vittorio Veneto in 2005, 2006 and 2007. 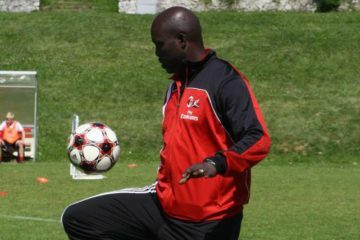 He attended the AC Milan Camp in Cortina D’Ampezzo in 2002. He is currently an InterMilan player. He attended the MJC of Jesolo Lido in 2010. He attended the AC Milan Academy Camp of Medulin (Croatia) in 2008-2009-2010-2011. He attended the AC Milan Academy Camp of Cortina d’Ampezzo in 2006-2007. He attended the AC Milan Academy Camp of Medulin (Croatia). He attended the AC Milan Academy Camp of Cortina d’Ampezzo. He attended the AC Milan Academy Camp of Cortina d’Ampezzo in 2014. He attended the AC Milan Academy Camp of Bratislava in 2011. He attended the AC Milan Academy Camp of Cortina d’Ampezzo in 2010. Further Details from Daily Mail: www.dailymail.co.uk. He attended the AC Milan Camps of Cortina d’Ampezzo in 2012, 2013, 2014, 2015 and 2016. He attended the AC Milan Camps of Asiago Mountain Plateau in 2013 and 2014. He attended the AC Milan Camp of Vittorio Veneto in 2010/2012/2013. Tommaso attended the AC Milan Summer Academy in Vittorio Veneto in 2011. Matteo attended the AC Milan Summer Academy in Asiago Mountain Plateau in 2014. He attended the AC Milan Academy Camp of Cortina d’Ampezzo in 2006, 2007, 2008, 2009 and 2010. Oscar attended the AC Milan Summer Academy in Cavalese in 2012 and 2013 and in Asiago Mountain Plateau in 2014. He attended the AC Milan Academy Camp of Cortina d’Ampezzo in 2014 and 2015. 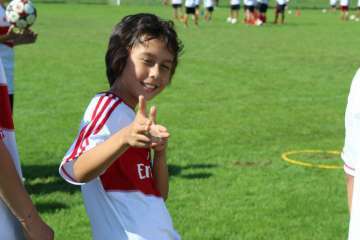 Francesco attended the AC Milan Academy Camp in Jesolo Lido (Venice) in 2011, 2012 and 2013.